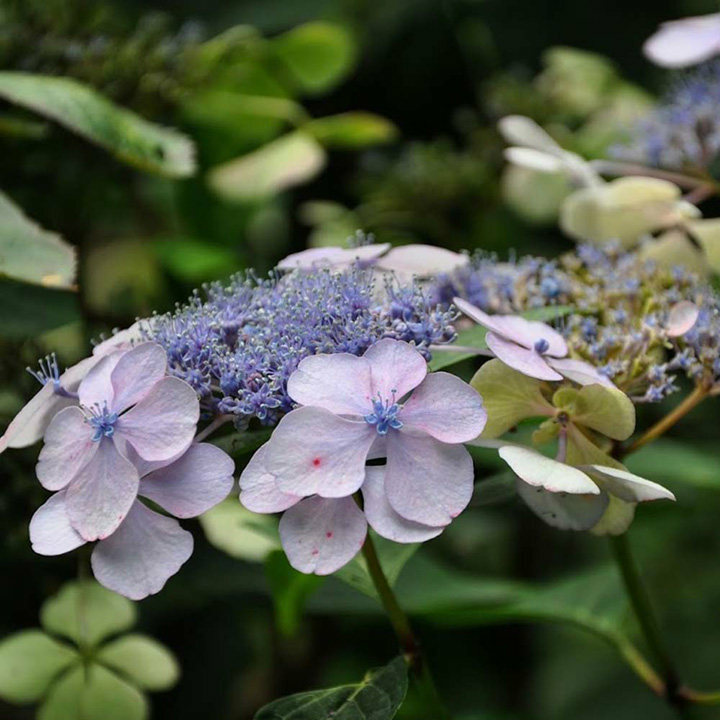 Hydrangea serrata 'Bluebird' is a compact deciduous shrub producing large flattened lacecap flowers from early summer through to autumn. On acid soils, the flowers are blue, while on neutral or alkaline soils they will become pink. This is an ideal shrub for a small garden. Best in partial shade. If grown in sun, ensure that the soil does not dry out. Height 90-100cm. Supplied in a 7.5-10 litre pot. 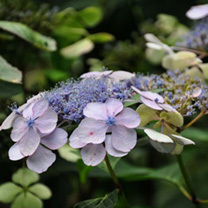 Hydrangea serrata 'Bluebird' is a compact deciduous shrub producing large flattened lacecap flowers from early summer through to autumn. On acid soils, the flowers are blue, while on neutral or alkaline soils they will become pink. This is an ideal shrub for a small garden. Best in partial shade. If grown in sun, ensure that the soil does not dry out. Height 90-100cm. Supplied in a 3 litre pot or 7.5-10 litre pot.